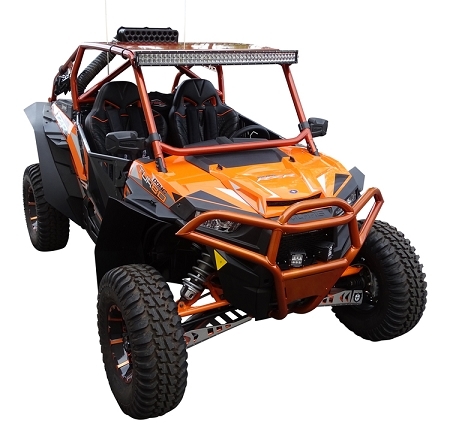 Our best selling fender flare kit for the 2014-2017 Polaris RZR XP-1000 (2 & 4 seat models) is a MUST HAVE for your XP! 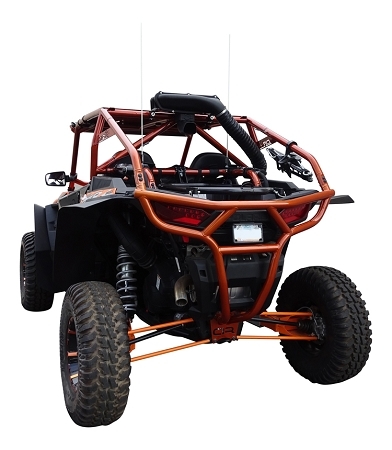 If you're sick of the mud and clean-up, our fender flares are the answer you're looking for! 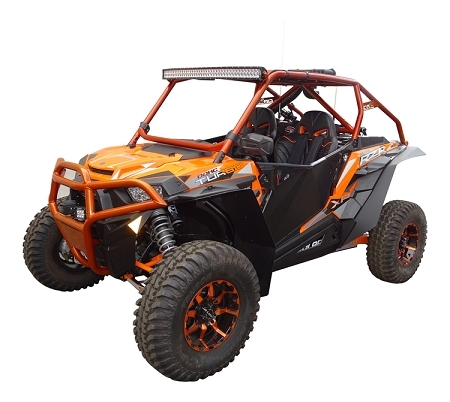 This kit provides aggressive styling and maximum mud protection! All of our products consist of CAD designed CNC cut HDPE fenders that compliment the factory fender angles while offering superior debris protection for your passengers. We also offer flat rear fenders without angled bends. 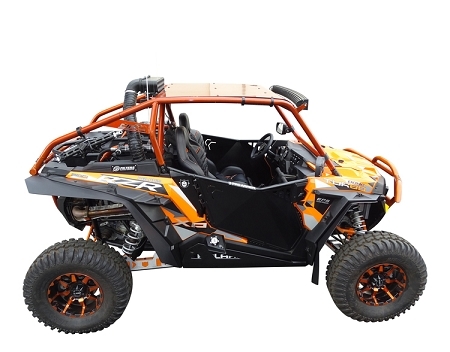 Fits ALL RZR XP-1000 models except the 2017 Gold Metallic model (the front fenders do not fit). Our fender extensions are CNC cut from strong, but flexible HDPE that is textured on top and smooth on the inside. Every kit comes with hardware, instructions (with pictures), and can be installed in about an hour. Q: What is the "rear bend" option? A: 99% of our customers opt for the rear bends. During the manufacturing process, we can add a slight crease to the outside edge of the rear fenders. This option is free of charge.